Updated Nov., 2010 -- Ken Potter is 59 years old and began collecting coins in 1959 when the reverse of the Lincoln cent was changed from the wheat-back to the now familiar Lincoln Memorial design. He dabbled in variety and error coins almost from the very beginning of his collecting interests and began specializing in that field in 1979 when he discovered a new variety on a Canadian dollar that made front page news in the Canadian numismatic press (in addition to stories in Coin World, Numismatic News and Error-Variety News) on the discovery. He now operates a web site containing one of the most comprehensive listings of varieties and error coins for sale anywhere. He has been an active collector, dealer and producer of silver art bars, medals and rounds since 1973 and added rare-coin-reproductions to the mix several years ago. He has one of the largest (if not the largest) web site offering such material. Coin World’s - "Varieties Notebook"
World Coin News’ - "Visiting Varieties"
Canadian Coin News’ - "Varieties & Errors"
The NCADD Hub’s - "Die Doubling World"
The CONECA Errorscope’s - "World Goodies"
The CONECA Web Site - "Oh, No It Ain't!" The Mich-Matist - "Michigan Cherries"
He has also penned columns for the The Lincoln Cent Society’s Centenial, Cherrypickers' News, The Canadian Numismatic Courier and authored numerous feature articles for other publications including: COINage Magazine, Numismatic News, Coins Magazine, The American Numismatic Association’s Numismatist, Error Trends Coin Magazine, Error-Variety News, NECA's Errorscope, CONE's Errorgram, IASAC's The Silver Bugle and others. He is the current editor of Bill Fivaz and JT Stanton's, Cherrypickers' Guide To Rare Die Varieties and edited the seventh edition of Alan Herbert's, Official Price Guide To Mint Errors in 2007. An Author's Index of numerous articles that he penned for his Collectors Universe column can be found in the PCGS Library and are recommended reading. 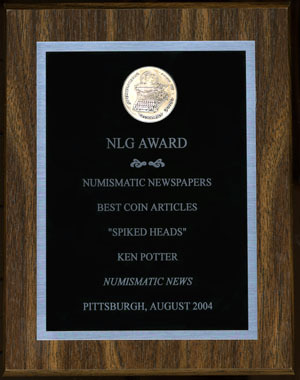 In August of 2004, the Numismatic Literary Guild named Potter as the author of the best article (or series or articles) on coins to appear in a Numismatic Newspaper (in 2003) for his "Spiked Head" on proof coins series that appeared in Numismatic News and again for the same honor in 2008 for his series on Presidential dollar coin errors appearing in Numismatic News in 2007. 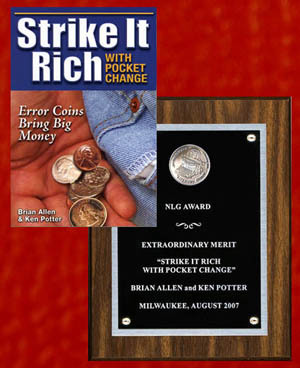 NLG presented him with an award of Extraordinary Merit, for the book, Strike It Rich With Pocket Change that he and his coauthor, Dr. Brian Allen saw published by Krause Publications in 2006. CONECA Inducted him into its Hall of Fame in August of 2010; the ninth individual to in the club's 27 year history to be bestowed with this honor. 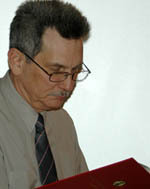 He is a member in good standing in the Numismatic Literary Guild (NLG), a charter life member of the Combined Organizations of Numismatic Error Collectors of America (CONECA), a founding member of the National Collectors Association of Die Doubling (NCADD), and a life member of the American Numismatic Association. 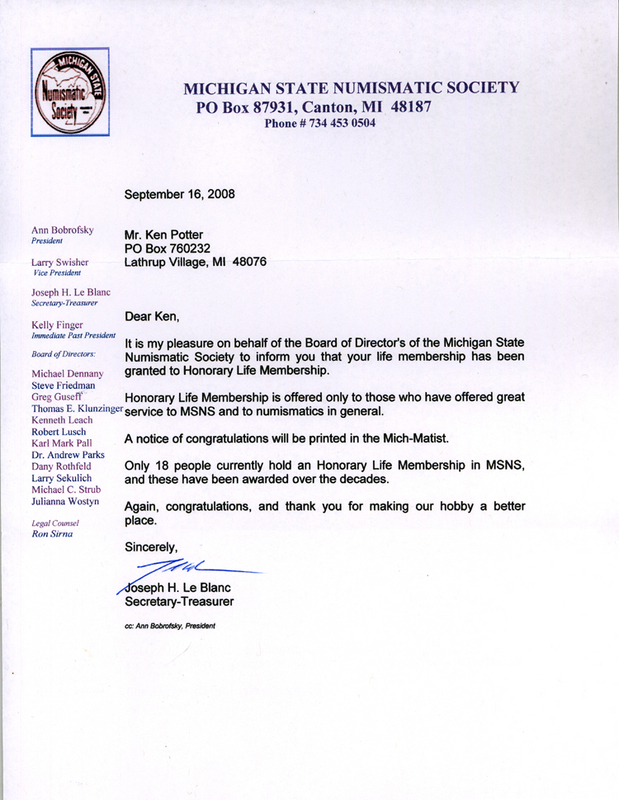 In addition to being a member of all the organizations named above, he was bestowed with an honorary life membership in the Michigan State Numismatic Society, is a member of Northwest Detroit Coin Club, Worldwide Bimetallic Coin Club, International Association Of Silver Art Collectors, The Worldwide Holey Tokens & Coins Collectors Club and Riverside Coin Club. He’s served on CONECA’s Board of Directors in the past and currently serves on its Board in the Webmaster position and is CONECA's Medals Program Coordinator. 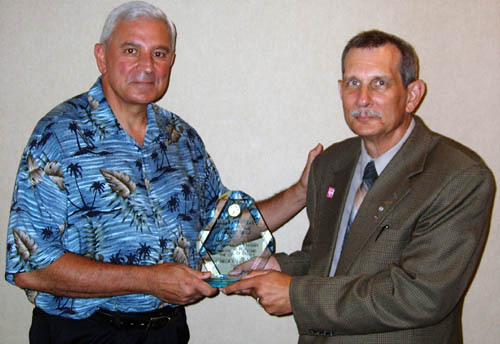 He is CONECA’s longest serving doubled die attributer (unofficially since 1981 and officially since 1985). He is also the official attributer of world die varieties for NCADD. He privately lists doubled dies and all other variety types on both U.S. and other world coins in his Variety Coin Register®. Potter has conducted numerous slide show and question and answer seminars on minting varieties and errors for coin clubs, schools and treasure hunting clubs. He was employed by Chrysler where he retired as a quality inspector after 34 years of service to the company. He was voted "employee of the year" by Chrysler's Sterling Stamping Plant in 2001. He has operated a mail order coin business since 1973. Other interests include, fishing, the outdoors, aquariums, music, computers and spending time with his daughter Anna, son Robert and wife, Kim.